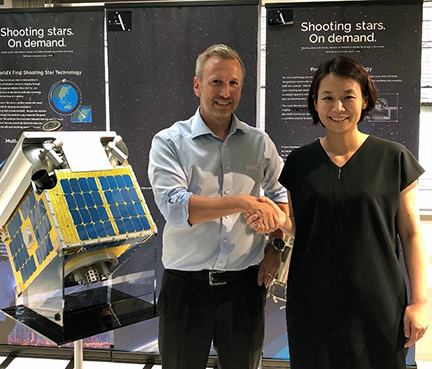 Tokyo-based space entertainment company ALE Co., Ltd. has selected KSAT as their Ground Station Services provider to support their smallsats that will produce on-demand artificial meteor showers. The Japanese company will launch two unique smallsats aiming to provide artificial, on-demand, meteor showers. The first satellite is planned to be launched by Japan's space agency, JAXA, on an Epsilon by March next yea. The second smallsat will launch in mid-2019. KSAT will provide vital support to ALE and their two satellites from the Svalbard and Troll Ground Stations, an important factor for this operational concept to work. The company´s approach is event-based, using space as their stage and even in the NewSpace world, this is new and exciting. ALE, with their innovation-driven CEO Dr. Lena Okajima, with a background in investment banking, is also a different satellite operator when it comes to their customer base. Okajima and her team are taking entertainment to a whole other level, offering on-demand meteor showers to clients worldwide, clients who require something truly extraordinary. The first show is planned to occur over Japan’s Hiroshima and Setouchi area, due to that area's good weather, variety of landscapes and cultural assets, in 2020. However, after that event, private companies and governments will be able to put on a meteor shower anywhere. 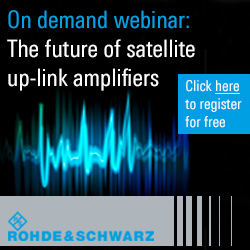 This is a world-first to have a satellite operator focusing on the entertainment industry as the main driver. ALE’s satellites will enable new entertainment services that has never been seen before. ALE and KSAT partnership. CEO Dr. Lena Okajima and KSAT’s Asia Director Mr. Kenneth Olafsson pictured from right to left. Seemingly all for fun, the mission also has a more scientific side to it. 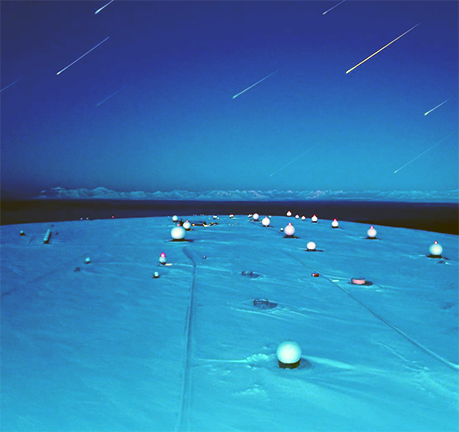 Being able to study the path of artificial meteor showers where the angle of incidence, velocity and materials are known, ALE is hoping to be able to better understand the mechanics of naturally occurring meteor showers and meteorites. Dr. Okajima said that the company aims to produce artificial meteor showers by projecting small particles, made out of special materials, from the orbiting micro-satellites. When the particles re-enter the Earth’s atmosphere, they burn through a process known as plasma emission, creating the appearance of beautiful meteor showers to impress the spectators on the ground. These first two test-satellites will have enough pellets for about 20 events — if skies are clear enough, each show could be seen within a 120 mile range. Dr. Okajima added that the company hopes to entertain people with meteor shower shows as well as use the data gained through such operations to learn more about the atmosphere of Earth. KSAT´s Sales Director Asia, Kenneth Olafsson, has closely worked with ALE to develop a solution that fits such a unique and fascinating concept and said that the company will use the KSAT Lite network tailored to smallsat operators. The trust and confidence in KSAT as a low-cost, flexible and customer-driven provider has been the key in finalizing a solution for ALE. The NewSpace scene evolving in Japan is really interesting and the focus on new and innovative ideas and business concepts makes a difference in driving the industry forward.